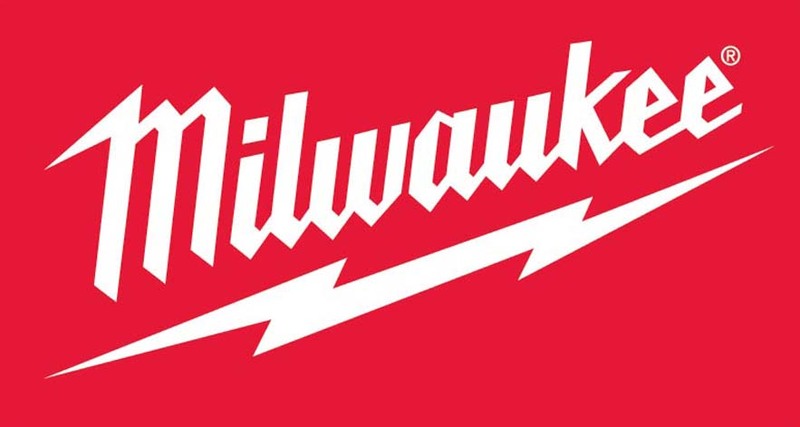 Milwaukee Tool Company has been busy blazing trails with tool innovation these past years and their annual growth report speaks volumes to prove it. 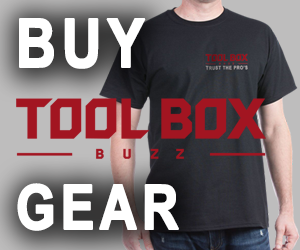 Tool sales are being driven by a large number of new products and growth in market share. 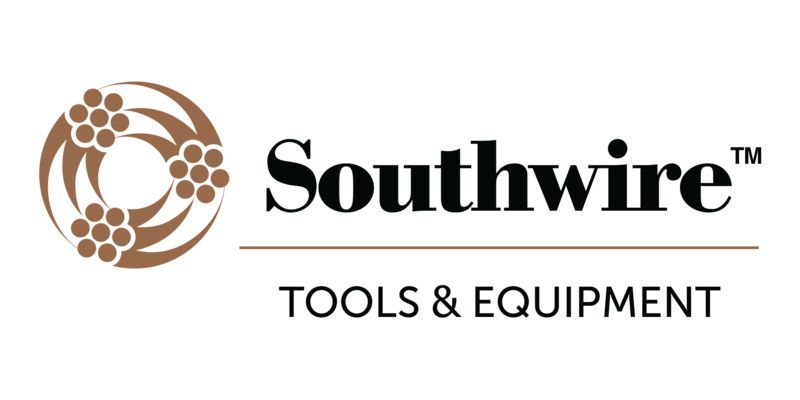 Tools that share common denominators such as durability, performance and innovative, trade-specific solutions. 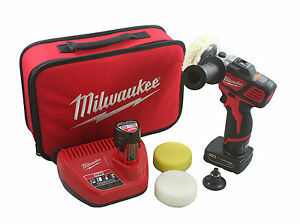 One such new product is the Milwaukee M12 Variable Speed Polisher/Sander 2438-22X. The M12 Polisher Sander was designed to provide the fast and precise detail work in small, thin and curved surfaces that a larger polisher or sander can”t reach. This tool allows users to get two tools in one by easily switching between polishing and sanding modes. Polishing is the step in the vehicle detailing process and is done to remove imperfections in the clear coat that cause the paint to look dull. Surface imperfections can include swirls, scratches, water spots, etchings, industrial fallout, oxidation, etc. The M12 Polisher / Sander is small, lightweight and compact. It looks like a small impact driver and has reversible side handle locations that have the “perfect” angle for comfort. I tested out the M12 Polisher on my utility trailer trim details as well as a larger section to see how the polisher performed. I also used the sanding attachment to remove rust from the kickstand on my fisher plow. The take away with this tool is that it is compact and cordless to reach into a lot of areas that you would not normally get a large polisher or sander into or where it would be a pain to do so. The cordless feature additionally eliminates the need for a cord, compressor and hose for pneumatic units. Switching between accessories is tool-less with the help of a spindle or chick lock. 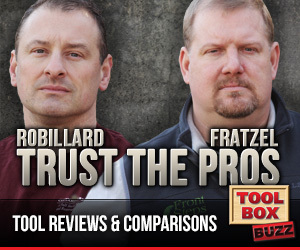 Portability, convenience and speed are what makes this tool worth looking at. 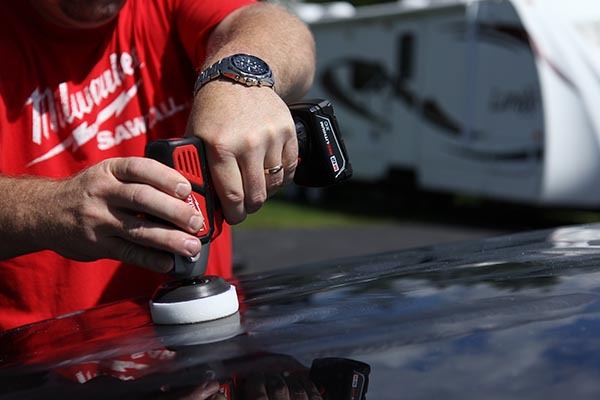 According to the folks at Milwaukee, the M12™ Polisher/Sander can perform a full pass on exterior trim, which was not possible with cordless units in the past.